Ready for adventures on the road? Who knows what surprises or dangers await after leaving the safe place in town. My work is all hand drawn. The style I go for is a more fantasy themed. The assets have an aged paper texture underneath. It’s like being on a real parchment map. 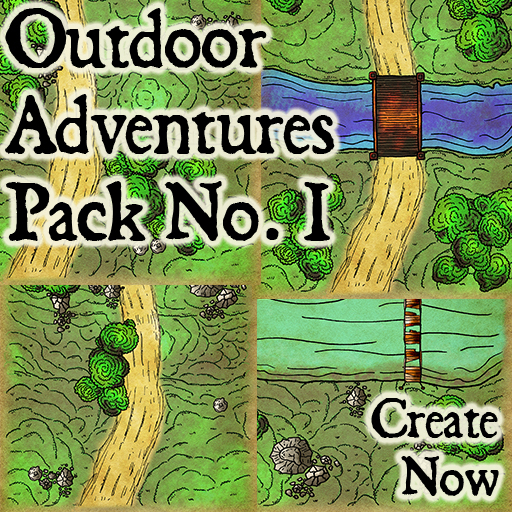 This pack includes 6 premade maps for outdoors adventuring (with and without grid). It also includes all the pieces used to generate them. You can rebuild or adjust as needed. Included assets are background, trees, rocks, 2 rivers and 2 bridges.